WSOR's L243 job crosses the Milwaukee River northbound. 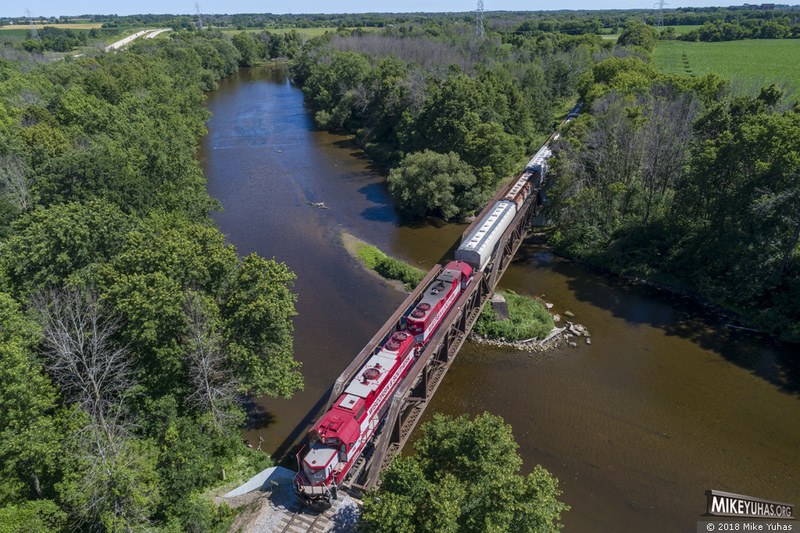 Train is just north of Saukville; it had traveled over trackage rights on Canadian National's Saukville Subdivision, and is now on Wisconsin & Southern's Plymouth Sub. This job serves the industries north of Fredonia about twice a week, frequently up one day and back the next.